ZAMAN, Wahid Ibnu; HUNAIFI, Abdul Aziz. PENERAPAN TEORI PIAGET UNTUK MENINGKATKAN PRESTASI BELAJAR MAHASISWA PGSD UNP KEDIRI PADA MATA KULIAH PENDIDIKAN MATEMATIKA MATERI KUBUS DAN BALOK. JURNAL PENDIDIKAN DASAR NUSANTARA, [S.l. ], v. 2, n. 1, aug. 2016. ISSN 2579-6461. 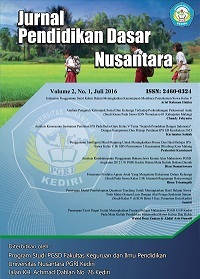 Available at: <http://ojs.unpkediri.ac.id/index.php/pgsd/article/view/344>. Date accessed: 25 apr. 2019.